Renaissance Rose carries a huge array of wigs, extensions and additions all year long. From functional to fun we can help. 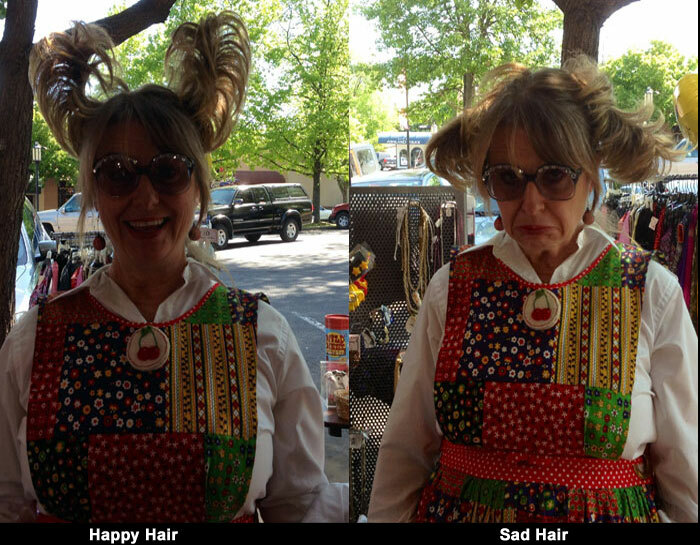 Come in and play with our happy hair! We can match up all hair colors and types and our knowledgable staff is happy to help. If you want to spice up that costume with a colored wig or just want to try on a new look to see what it would be like to go a different color, we have a little bit of everything for you to try.